On Day 3 at the NIKE/Elite Hoops Boys Basketball Camp at Stockbridge High School, coaches emphasized using offensive skills that players were taught in stations, in their 5 on 5 and 3 on 3 games. One important skill that was taught in stations was the PICK AND ROLL. Players were taught the importance of moving without the basketball, whether it was setting up a defender before a pick or rolling to the basket after setting a screen. After working on this skill in stations, coaches encouraged players to move without the basketball and set screens to get teammates open! 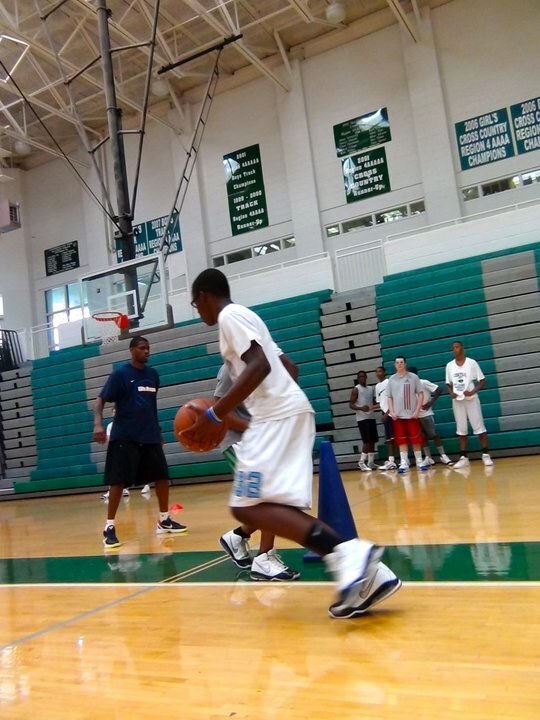 Moving without the basketball is an important skill and spacing on the court is something that players will continue to work on throughout the week, and hopefully each day players will get 1% better at this difficult skill. Wednesday was a success, and coaches can't wait to see more improvement on Thursday!